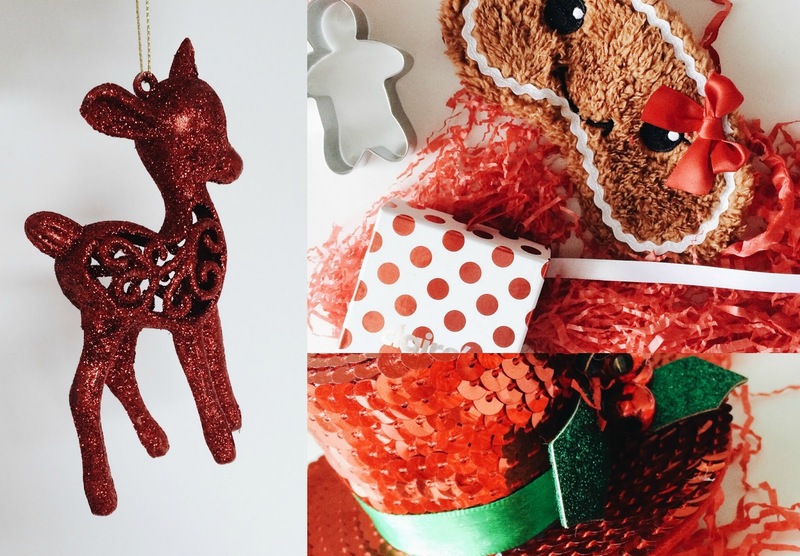 The other day, Friday to exact, I received a mystery piece of blogger mail all wrapped up in red wrapping paper with a glittery red bow on top. I was all like 'oooo' and 'soooo prettyyyyy' and decided to give you guys a little look at it on my Snapchat (username: hollywhitee). So, if you have me on Snapchat, there's a chance that you've already seen a little sneak peak of all of this! Claire's kindly sent me a little box of goodies all to get me in the Christmas spirit! They have some amazing bits and bobs for pressies this festive season - especially for any girly girls you know - so here, take a look at some of that fab things they've got! I love how everything in the box is so so festive! The baubles are one of my favourite things from the box. I especially like the transparent ones with glitter inside. 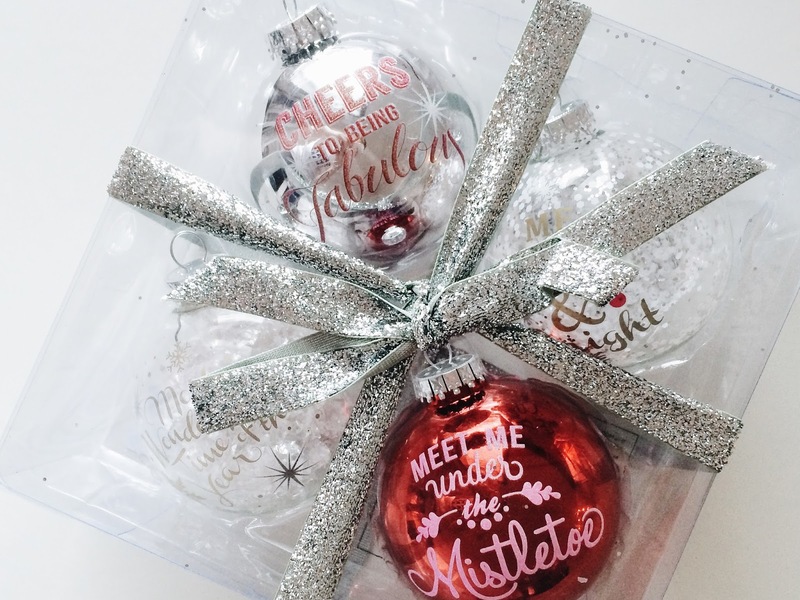 They're just a nice way to add a bit of fun to your Christmas tree and well, we all love a little bit of pretty calligraphy written on a pretty bauble don't we? Something I thought was great for younger relatives/friends was the fun phone cases and ginger bread night mask. They're just something a bit daft and I can imagine young teens and especially younger girls, finding them really fun! SO much colour on this post my eyes are going weird! 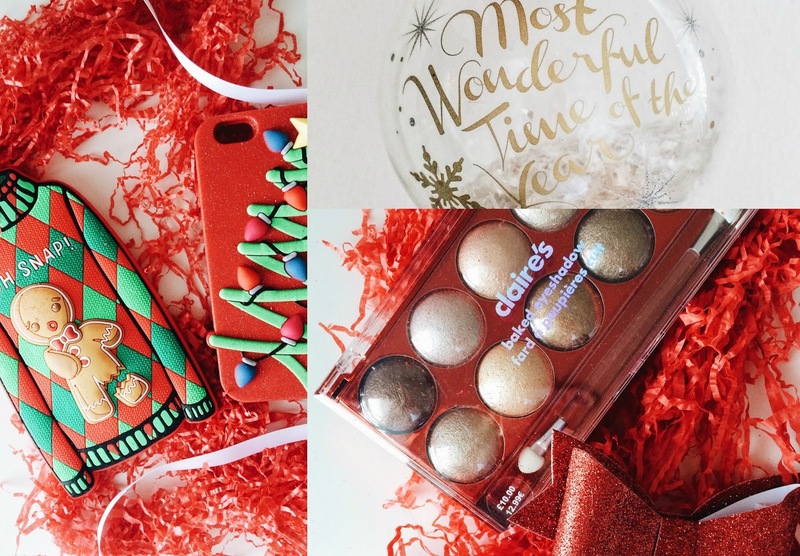 Love the surprise package though I bet that was adorable to receive, I love the Christmas decorations and that eyeshadow palette! I love how festive it all is! I never really think of going to Claire's anymore, I used to love it as a teen but maybe I need to have another look! Everything looks so cute, what a lovely surprise!